Harvard resident Alice Leichleiter Brandt, 79, passed away Wednesday, February 6, 2019, at her home. Services are 10:30 a.m. Friday, February 15, at Stockham Community Church, Stockham, Nebraska (401 Scott Street) with Pastor Paul Nauman officiating. Private family burial will be held at a later date. Memorials may be given to the family for a memorial to be established at a later date. There will be no viewing or visitation. Alice was born on October 18, 1939, to Ernest and Sarah Adams. She grew up and attended school in Harvard. In 1955, she fell in love with Matthew Leichleiter and married him. She gave birth to seven children, three of whom only lived a few days. In 1972, her beloved husband passed away and she went on to raise her four sons as a single mother. In 1987, she married Delmar Brandt. 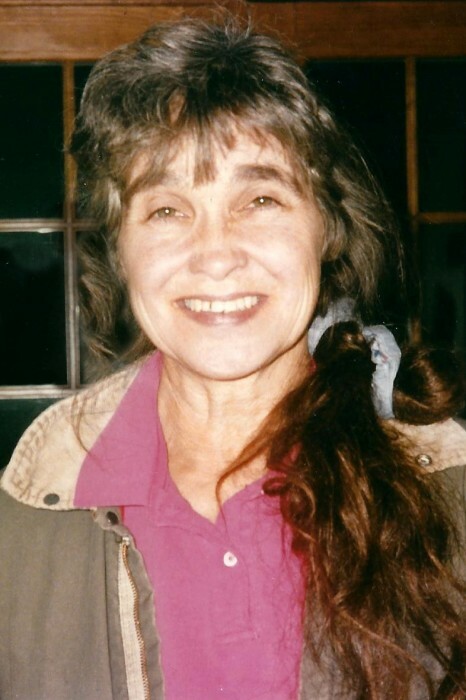 Alice was preceded in death by her parents and five siblings, her late husband Delmar Brandt, her first husband Matthew Leichleiter, and her children Virgil, Silvia, David, and Daniel Leichleiter. She is survived by her children, Lyle, Stuart (Laura), and Andrew (Donna) Leichleiter, her siblings, Rosalie (Allen) Brandt, Ernest (Sheila) Adams, and brother-in-law Jim Lee (Erma) as well as her grandchildren Brandy, Corina, Amy, Trent, Audra, Tanner, Maddy, Braydon, Angie, Mackenzie, and 33 great grandchildren.